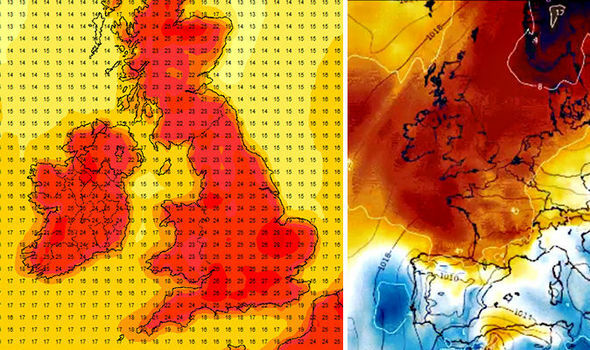 Britain is set to be hotter than the Sahara desert this week as the country experiences the first of up to eight heatwaves predicted this summer! A 10-day ‘Spanish blowtorch’ heatwave will send the thermometers soaring to 33C from Wednesday – making it potentially the hottest day of the year so far. Keep blinds and curtains closed during the day as a preventative measure to stop your room from overheating. You can open your window to let some air in to circulate and the blinds will keep everything else out. It’s advisable to step into the shade between 11am and 2.30pm from March to October and our Café is a great place to chill and grab some free Lucozade or get some fresh air on our comfy outdoor Sofa’s but wait until they are in a shady spot. Sweating can cause dehydration, making you more susceptible to heat exhaustion and heat stroke. Drinking cool glasses of water throughout the day can be enough to bring your body temperature down. Your body warms up as it works to process larger meals. Metabolic heat is needed to break down food, so eating smaller portions can help keep you cooler. Opting for lightweight cotton clothing is the best option when it’s scorching outside. Avoid dark colours and keep summery with whites and creams, as these are more likely to reflect the sun’s radiation. There are plenty of pulse points around the feet and ankles, so dunking your feet into an ice bucket can help take your temperature down. Inhaling through the mouth and exhale through the nose to create a refreshing effect. In theory, when taking in breath this way, your saliva should help cool the air before it’s taken to your lungs. On a hot day, you get get a bit of much-needed rejuvination by applying a cold moisturiser to your body. Keeping your products in the fridge will create this cooling effect without any hassle.